We've grouped the various functions that you'll need to perform within Swift Galleries in our menu structure. We'll give a quick overview here of each section and provide links to more robust documentation for each section. Click on the three line icon to hide or expand the menu. Please note that if you are on a small screen, tablet or mobile device this menu will look slightly different. Click here to manage your personal settings in Swift Galleries (more on that below). The dashboard contains a variety of quick snapshots about your Swift Galleries account. Your clients are the heart and soul of your Swift Galleries experience. This is where you'll upload images, design your galleries, and create sales opportunities for your clients. You can also read more about creating a new client, or about managing your clients. For Swift Galleries to help you sell your wall art, we need to know what products you sell. First you create your new product, then you manage the products (and sizes you want to offer for each product) tied to that product. 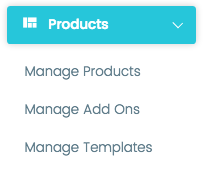 Finally, in Manage Templates, you can create some templates for layouts that you want to sell to all of your clients that can be quickly used in the Designer. 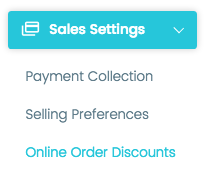 This is where you'll set your preferences for whether or not Swift Galleries collects payments for you, your In-Person Sales meeting default settings and your discount preferences for online sales. Yep, another way to get there, for when you really gotta get to those preferences right now and you want to save yourself that extra click. That's probably where you are right now. If not, then click on this icon and you'll be there with a quickness. Uh huh, another log out. Just in case. Here you can review all your client orders as well as your income report. This is the Email address you have set up for this Swift Galleries account. Change your studio contact details here. I'll give you one guess. This is where you'll change your password. You're so smart! Set your default number of days to keep an client gallery open for online sales, what edge wrap you want on your canvases by default, your measurement system and whether or not you'd like to be CC'd on emails that go to your client. This is where you can switch from a monthly to yearly subscription and see when your next payment is due. Get a sneak peek into the future by taking a look at your upcoming invoice! Exciting! Every invoice we've ever sent you. They're all here, ready for you to enjoy. Man, you're quick. You've got this tour down, you don't even need us anymore. By the way, can you tell I've been writing help docs for too long at this point?